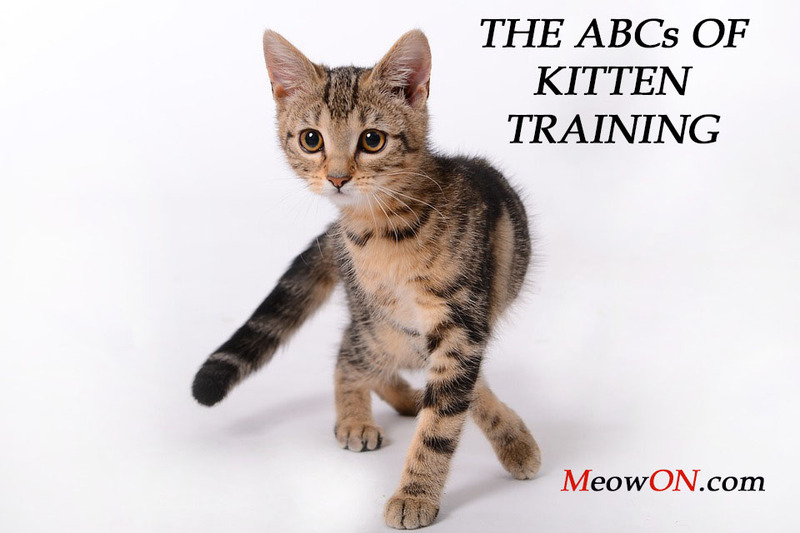 Training kittens is done around three main axes: the acquisition of self-control (bites and scratches), cleanliness, and avoid destructions by scratching. It is less complex than in dogs. In nature, it is done with the help of the mother, the brothers, and sisters. In family, the kitten learns the first basic conduct to draw a line between playing, where scratching and biting too hard are disallowed, and fighting where he is expected to implement his powerful armory. Otherwise, Mom intervenes to bring order or teach manners. Once at home, it is a matter of maintaining this learning, or in some cases, acquiring it (in the case of kittens being weaned too early or abandoned and have never been educated by their mother ). To do this, it is necessary to avoid excited climbs during the games, as the latter tends to favor the loss of control. As soon as the excitement reaches a certain stage, the game is should be brought to an end to be resumed when the kitten calms down. If the excitement outbursts very too soon, you should make sure your kitten learn it’s unacceptable by saying no with a firm voice, and possibly give a small tap with a finger on the nose (as the mother would with her paw). If managing a difficult kitten who has an unfortunate tendency to catch the hand firmly with his four legs and plant his teeth, you need to play him through objects, and never directly with the hands. Thus, as soon as you see Kitten bristle staring at your fingers, draw his attention in the direction of a more acceptable object, such as a ball of paper, a string that is stirred , Or a plush mouse. The goal being that after few weeks, the kitten makes the distinction between the toys with which he has the right to let off steam, and the hand of which he accept the caresses of without trying to catch it. - The litter tray should be easily accessible (not at the bottom of the third room on the left, at the end of the corridor on the floor). If necessary, in order for the kitten to take its marks more easily, it can first be confined to a single room (the one where the tray is), before gradually opening up the access to the whole house. - Easily accessible does not mean in the laundry room next to the washing machine, or in the middle of the hallway! The litter ought to be in a quiet place, where the moggy can do his duty without being disturbed, and without feeling that the whole family is looking at him. There are some cats that do not bother ... but others are ticklish! It is also better the tray isn’t right next to the kibble. - Some cats get used to covered trays, but others feel anxious in there ! So instead, you should make the uncovered tray your start, then add the lid once the animal is begins to feel warm to the tray, and see what happens. 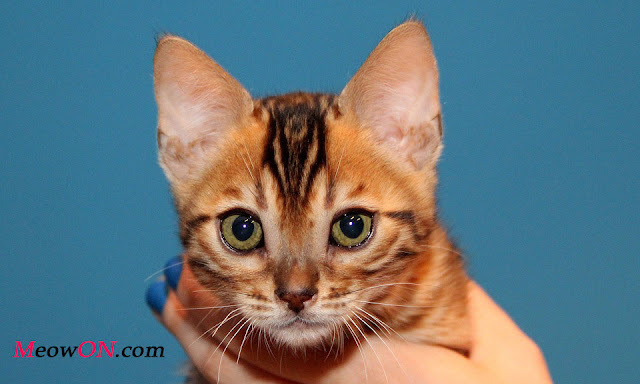 - In the same way, some kittens do not support scented litter, or some type of litters. So you rather start with an unscented litter, and preferably one that doesn’t irritate the kitten’s paws. - The cat is a clean and agile animal and one of the epitome of cleanliness: if you do not clean his litter often enough, he will answer his nature calls in a rather clean place (the sofa cushions, for example). So remove the droppings at least once a day, and change the litter very regularly, without waiting for it to overflow! - If you are in a house with several cats, you must theoretically have as many litters as cats, or even one litter more , as well as a litter tray (at least) per floor. Obviously, if everyone is going to do their business in the garden and the trays remain obstinately empty, you can remove some of the ten trays that you had planned for your nine cats! - The cat is very stimulated by the smell of bleach: initially, you can put a few drops in the litter, to attract the kitten. Which means, on the contrary, that if your cat begins to do his business next to his case, it is better to avoid cleaning the tile with bleach, under penalty of seeing the moggy return with a good constancy, eliminate at the same location ! Cleaning is to be done with a mixture of 50% vinegar white, 50% soda water , very effective in removing the odorous proteins present in the urine of the cat. - And above all, in case of uncleanliness, avoid punishments. Don't hit your kitty or rub its nose in the urine or defecation; these are particularly and highly detested by cat-kind. They are also immoral and forbidden reactions. Note that the cat will register this vicious behavior and be afraid of you. And much more important, the cat won’t get any good lesson as he will certainly not associate this punishment with its uncleanliness. If the kitty attacks the living room curtains or the tapestry of the corridor, you can purchase a scratching post and position it prominently in the vicinity of the scratched object. Whenever this animal begins to make its claws elsewhere, it will have to be redirected to the scratching post. The latter can be made more attractive by rubbing an olive core on it. (It smells very much like cats). Conversely, if you intend to live with cats, avoid curtains or tapestries with thin vertical stripes ... because that means tempting the devil! And as for problems of uncleanliness, avoid punishment in case of unwanted scratching! It is more than useless, counterproductive. Your cat will keep a distance from you, and you will no longer have any relation with him. Punishment after punishment will also cost you more and more urine, facets, and marks by claws.